The waters of history significantly bathe Kalisz, Poland's oldest city. Specifically, they source back when Kalisz was an important stop on the Amber Road to Rome. 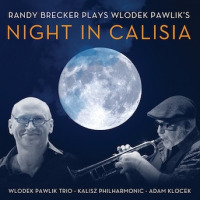 Historical streams of another type also run broadly through this exuberantly satisfying recording offered by the triumvirate of trumpeter, Randy Brecker, pianist/composer Wlodek Pawlik, and the hometown Kalisz Philharmonic. This is a sprawling, beautiful and inspiring performance which, through Pawlik's effusive musical pageantry, Brecker's outstanding playing, and the orchestra's hometown fervor, appropriately helped the ancient town celebrate its 1850th anniversary. And, they did it magnificently. Stylistically, Pawlik's writing deploys vibrant, elegantly refined melodies and up-tempo modal underscores that are richly orchestrated. 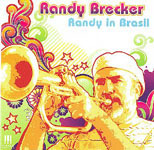 His well-established classical roots seethe through each of the selections. The beautiful slower pieces, Satie-like, are lush and, like the others here, generously free Brecker to paint his own superb sound-pictures. 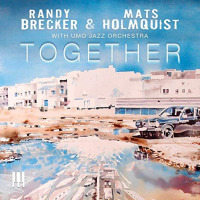 The musical balancing act of soloist with orchestra is ideal throughout. 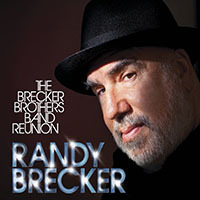 Randy Brecker, whose stellar resume spans decades, genres, and recordings with other fine European orchestras, is supremely on his game herebetter than everplaying with a gorgeous, warm sound, ebullient spirit, and animated creativity. 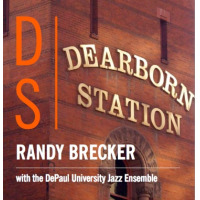 An abundance of jazz joy is evident in his longer ribbon-like lines and his hard bop style is unfettered yet well in musical synch with Pawlik's invigorating and spirited background platforms. Under conductor Adam Klocek, the Kalisz Philharmonic gratefully buys in to the celebration, performing with significant zest, never allowing things to bog down or to sabotage the festive nature of the event. The rhythm section, with Pawlik's keyboard leading the way, drives this caravan quite well. 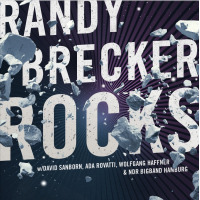 Perhaps the only possible criticism hereand it's a nitpick and not even a musical one: the liner notes were apparently run through a translation device. That notwithstanding, there's nothing lost in translation or fossilized in amber about this bravura performance. It's a gem. Track Listing: Night in Calisia; Amber Road; Orienthology; Follow the Stars; Quarrel of the Roman Merchants; Forgotten Song. 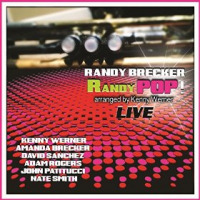 Personnel: Randy Brecker: trumpet; Wlodek Pawlik: piano; Pawel Pańta: double bass, electric bass; Cezary Konrad: drums; Kalisz Philharmonic Orchestra; Adam Klocek: conductor.